If you are in the active military and own a Pit Bull we encourage you to register with the American Pit Bull Registry. We support all allied military personnel around the world even from other countries than the USA. 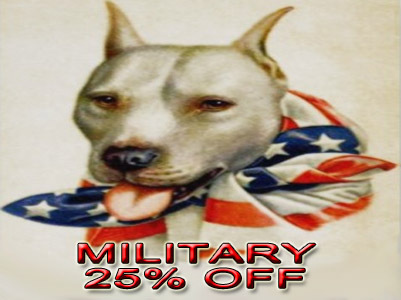 Military discounts are provided at 25% off. If you are interested please contact us using the form below. We will contact you back and provide detailed instructions on how you can register your Pit Bull. For individuals who give selflessly to the betterment of the world we would like to recognize your service with a discount on registration of your Pit Bull. Police and Fire Fighters qualify for a 20% discount and teachers qualify for 15% off. If you are interested please contact us using the form below. We will contact you back and provide detailed instructions on how you can register your Pit Bull. When properly trained Pit Bulls make excellent service dogs. 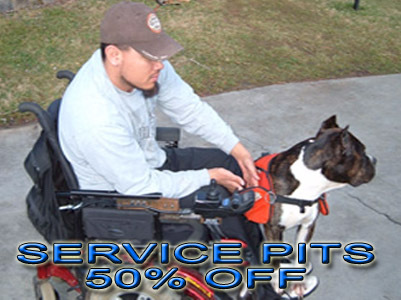 If your dog is a service dog or in any of the other lines of service work such as disaster and rescue, medical alert or those used in therapy services we would like to recognize you with a 50% discount. If you are interested please contact us using the form below. We will contact you back and provide detailed instructions on how you can register your Pit Bull. At the American Pit Bull Registry we like to give back to the community. 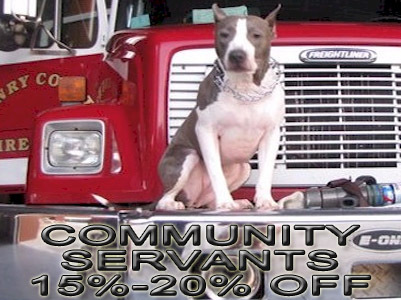 We do this by providing community servants such as military, police, fire fighters and teachers special discounts as a way of saying thank you for your service. In addition to community servants we recognize those who also use Pit Bulls in any type of personal or community service work. Whether the Pit Bull is used as a disability service dog or in any of the other lines of service work such as disaster and rescue, medical alert or those used in therapy services we like to recognize these special representatives and their owners as well. If you have a Pit Bull and you meet any of the criteria above we encourage you to register with the American Pit Bull Registry and help show others what a great example the breed can be when provided the opportunity. 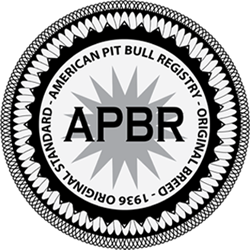 In addition to registration the APBR additionally provides advocacy services for owners of disability service dogs who choose to use the Pit Bull as their breed of choice. The Americans with Disabilities Act ( ADA ) makes it against the law for business or government organizations to discriminate against individuals based on their service breed of choice. This even includes areas where Breed Specific Legislation ( BSL ) has been enacted that prevent Pit Bull ownership. Such laws are unconstitutional when they infringe on disabled individuals rights as protected under the US Constitution as Federal Law trumps state and local laws. If you are a Pit Bull Service dog owner and are experiencing discrimination or threat of seizure of your Pit Bull in areas affected by BSL please let us know and we will be happy to help. 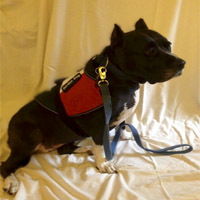 If you are disabled and would like to consider a Pit Bull as your service dog of choice let us know. We have thousands of APBR Certified Pit Bull kennels in our system, many of which have expressed an interest to providing service dogs free, or at reduced rates to individuals in the disabled community. Some kennels have expressed a specific interest in helping our wounded warrior community specifically. "Thank you btw! I know now my service dog is covered by the ADA for her current training & breed! I understand ADA allows individual training as well btw - but either way, if training is by someone else, an agency or alone, ignorant VA employees may challenge her current "certified" status even if they are not justified. You have motivated me to help myself & my loyal service dog. I have been on the internet all day it seems researching & came across this! I could not believe it."